Utahns nearly had four propositions to vote on this year — including the Count My Vote effort to affirm existing election law — until opponents successfully peeled away enough signatures in key Senate districts to block it from the ballot. It’s a tactic that Count My Vote unsuccessfully challenged as unfair before the state Supreme Court, and one that would no longer be possible under proposed legislation by Rep. Merrill Nelson, R-Grantsville. Current law allows a 30-day period after initiative petitions are turned in to the state in which Utahns can formally rescind their signatures. But that provision also allows opposition groups to thwart an initiative by surgically targeting signatures and persuading a relatively small number of voters to change their minds. Nelson plans to sponsor a bill during the upcoming legislative session that would create a single deadline for both the submission and removal of initiative signatures. 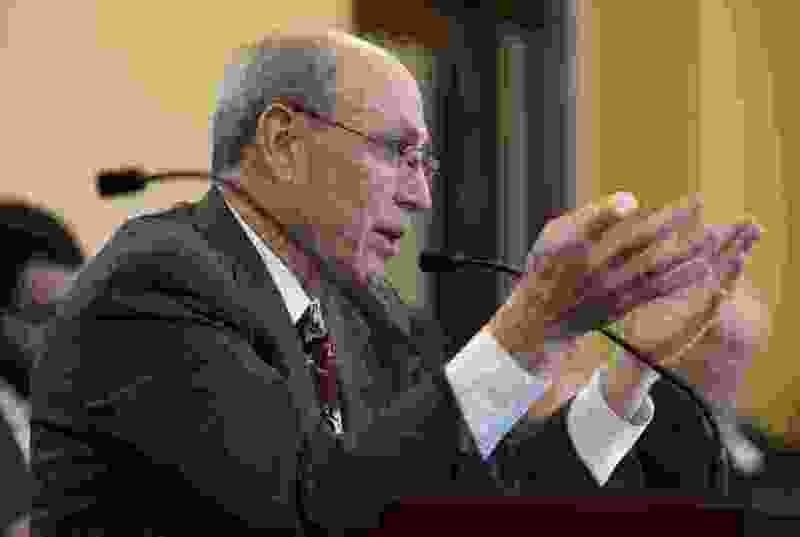 Utahns would maintain the ability to rescind their support for a campaign, Nelson said, so long as they take that action while signature collection is ongoing. He said that change would hopefully avoid the confusion and dispute the state saw between Count My Vote and the opposition group Keep My Voice — which centered on disagreement over the way election candidates are nominated by their parties — while preserving the ability of residents to directly enact law. “I think the process is difficult enough," Nelson said. Rich McKeown, executive co-chairman of Count My Vote, said that signature rescissions should occur at the same time as collection. The Count My Vote campaign would have strategized differently had it known about Keep My Voice’s efforts, he said, and under Nelson’s bill initiative organizers would have a more accurate sense of where and how many signatures need to be replaced. In order for an initiative to qualify for the ballot, organizers must collect more than 113,000 signatures statewide while also meeting proportional thresholds in at least 26 of Utah’s 29 Senate districts. But Phill Wright, executive director of Keep My Voice, said a single deadline would eliminate the ability of individual voters to confirm their support of an initiative. If their name was forged, or if they were unsure what they were signing, he said, they would lose the ability to remove their name after the lists are verified by county clerks. He said Nelson’s bill is the type of thing that special-interest groups would “salivate over," because it makes the path clearer to circumvent the Legislature and pass bad or potentially unconstitutional laws. Instead of the signature removal process, Wright said it is the signature submission process that should be changed to require initiatives to turn in their lists every month. During his monthly press conference on Thursday, Gov. Gary Herbert described the current signature-removal process as flawed. It “kiboshes” the ability of the public to debate and vote on an issue, he said, when as few as 200 people remove their names from a list of more than 110,000. “Our initiative petition process probably needs some work,” Herbert said.